This weeks Topic of the Week was originally published in the Woman’s Journal Magazine. I’m 40 pounds lighter this year and have kept it off for several months. I’d like to share some things that I learned, and some things that helped me lose the weight. I lost this weight over 6 months. I know that there are faster diets. I also know that there are diets that are much more intense. Many of these diets are much more expensive as well. For me this diet was easier than other diets, because I wasn’t depriving myself from sweets and pasta that I enjoy. For me this was a lifestyle change. I don’t have the metabolism that I had when I was 25. I needed to cut down on the volume of food that I was eating. Because I strategized around my weaknesses, and didn’t force myself to do anything I wasn’t ready for, I was able to succeed. The bulk of my loss was in the first 4 months. Later it became a little harder to lose weight as fast since I cheated during the week, but I continued to lose weight. I’ve been holding steady for the last several months with a reduced caloric diet during the week and still keeping a binge day (see below), because I find it fun. Many people diet and then have trouble keeping the weight off. In the last few months, I’ve pretty much held steady or have lost a couple of pounds. The first thing I needed to address was dysbiosis. This is state of overgrowth of yeast, bacteria, and parasites. I’ve been pretty good for a while on colon issues, with yeast and parasites, however, the one area that needed to be addressed was a bacterial infection of the stomach. Helicobacter pylorii is a common bacteria that irritates the lining of the stomach wall. It can lead to hiatal hernias and ulcers. This irritation causes a gnawing discomfort and can be relieved by eating (and can be mistaken for hunger). 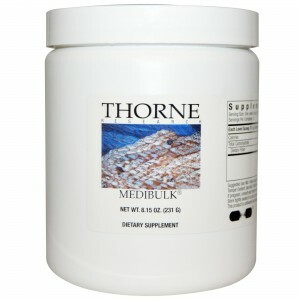 There are several supplements that I use to kill off this infection and relieve this gnawing pain. The one that I used for myself was Peptiguard. This became an incredible appetite curber. Reduce caloric consumption. Before I started this diet, I was eating granola regularly for breakfast. I also had a large lunch (or sometimes two lunches if I worked late). With dinner, I had seconds regularly. For breakfast at first I replaced the granola with a mixture of flax seeds, chia seeds and unsweetened flax milk. Both these seeds provide protein, essential fatty acids that help reduce inflammation, and actually swell with liquid and act as bulking agents, creating a sense of fullness without a lot of calories. Partial daily fast. One thing that I tried to do, was try to eat all of my food within a 10 hour window. It seems that this partial fast helps reduce weight. For men it is a 10 hour window, for women it is a 12 hour one. The Peptiguard really helped with this. During the week, I didn’t eat any sugars, sweets, fruits, grains (no bread, rice, oatmeal etc). I ate meat, vegetables, beans, and a little winter squash and sweet potatoes. I also made sure that I didn’t go for seconds, and made my portions smaller. If I was still hungry after eating dinner, one trick was to eat a small (miniscule) amount of triple cream brie or rich with cream blue cheese. I would nibble on this and the flavors were so intense that my brain shut down it’s hunger center. (A patient of mine said that he achieved the same results with a taste of salted butter). During this time I was starting to incorporate broth in my diet. After a couple of months, I drank broth for breakfast. Broth soothes the stomach and helps it heal. It also satiates us and helps us feel full. Later, I used broth as a replacement for my second “evening lunch.” If I was working late and was still hungry, I ate a pack of Trader Joe’s seaweed snacks. They have 60 calories, provide iodine that stimulates the metabolism, and swell in the stomach with liquid making me feel full. Binge day. This was really fun. One day a week became binge day. All rules were off. We ate whatever we wanted and more. We actually tried to have a large caloric intake that day. This supposedly helped to make our metabolism think that it was still on a larger caloric diet during the week and would run at a higher rate while we reduced our calories. I don’t know if it really did this, and I might have been able to lose weight faster if I didn’t do this, but it helped me stay on the diet long term. We weren’t depriving ourselves. If I wanted something sweet it was usually by around the end of the week and it was easy to tell myself “only a few more days.” This was definitely a big piece of my diet. Ultrachrome. Chromium helps us to process sugar. 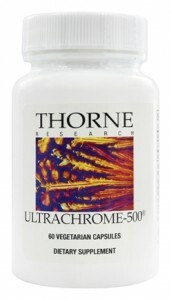 Chromium also helps us stop craving sugar. I give it to patients that have trouble stopping to eat sugar. This is for people who when they eat one cookie, soon find that the entire bag is gone. Medibulk. This helped with fiber and keep me regular. Fish oil (essential fatty acids) helped keep inflammation at bay as I lost weight. If you have a weight or diet issue, or need help with nutrition in your diet or weight loss plan please consider me as a part of your team. Food Drive --- Thank You!